Transferred to the Maritime Administration (MARAD) 17 January 1977, for lay up in the National Defense Reserve Fleet, Suisun Bay, Benicia, CA. Returned to MARAD for lay up. 25 April 1980, in the National Defense Reserve Fleet, Suisun Bay, Benicia, CA. 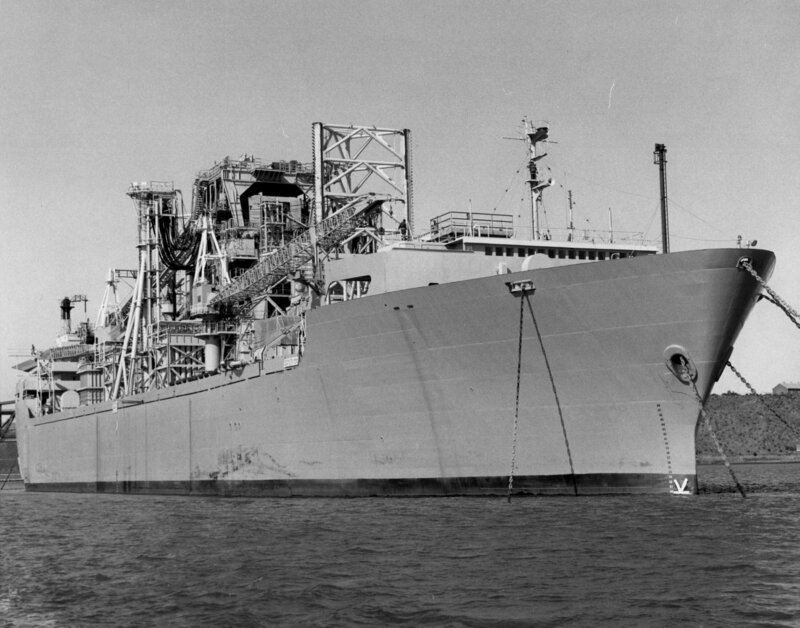 Transferred to MARAD, 17 January 1977, for lay up in the National Defense Reserve Fleet, Suisun Bay, Benicia , CA. Withdrawn from reserve, custody transferred to US Navy, 1 June 1979, to be leased to Global Marine Development Inc. for commercial use. Intended to be used for experimental deep-ocean mining tests up to 17,000 feet. 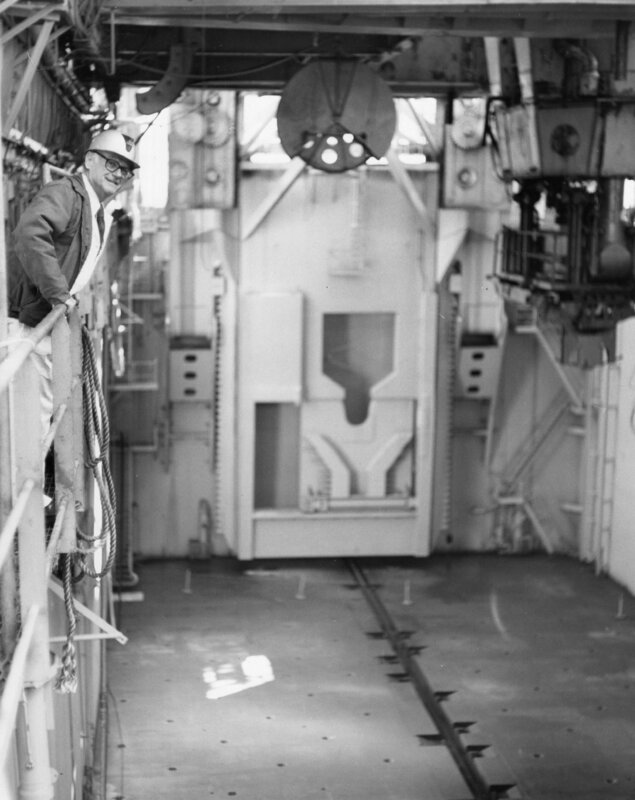 In 1979 it was proposed that the ship be transferred to the National Science Foundation for use as an experimental drilling ship- this proposal was never funded and never occurred. 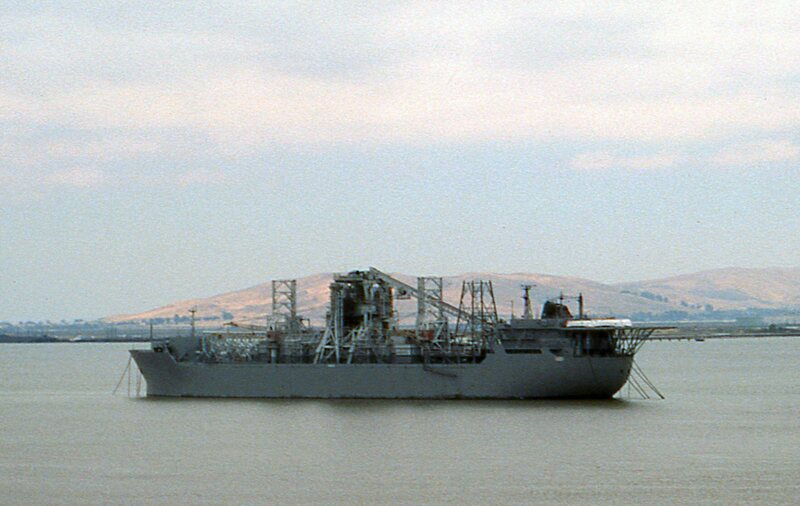 Lease terminated, 25 April 1980, returned to US Navy custody and transferred to MARAD for lay up in National Defense Reserve Fleet Suisun Bay. Benicia. CA. the same day. GlobalSantaFe merged with Transocean Inc in Nov 2007. 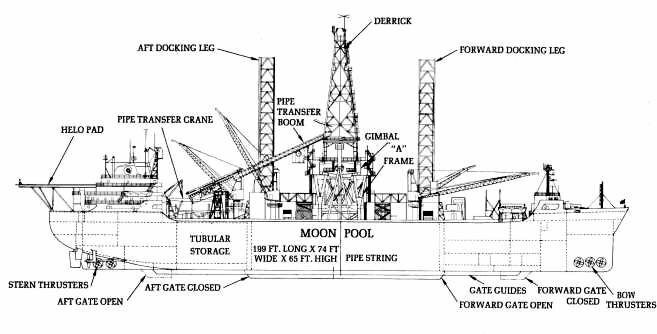 43k Diagram of unmodified GSF Hughes Glomar Explorer. 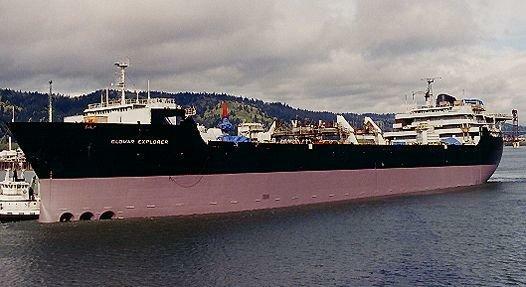 34k Glomar Explorer (AG-193) underway, date and location unknown. 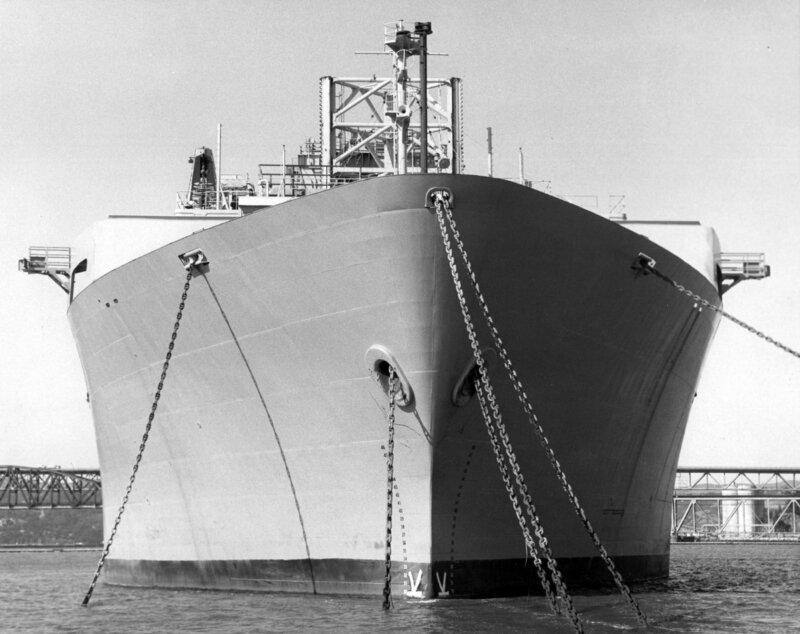 334k Glomar Explorer (AG-193) anchor in the Suisun Bay Reserve Fleet, 15 May 1977. 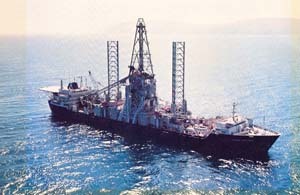 570k Glomar Explorer (AG-193) "drill rig", 15 May 1977, National Defense Reserve Fleet, Suisun Bay, Benicia,CA. 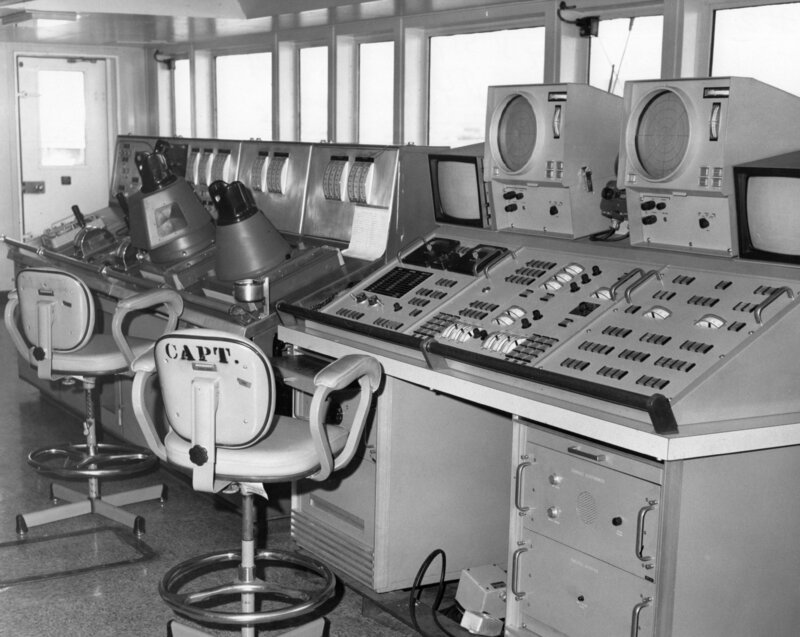 302k Glomar Explorer (AG-193) Computer Room, 15 May 1977, National Defense Reserve Fleet, Suisun Bay, Benicia,CA. 373k Glomar Explorer (AG-193) "Moon Pool", 15 May 1977, National Defense Reserve Fleet, Suisun Bay, Benicia,CA. 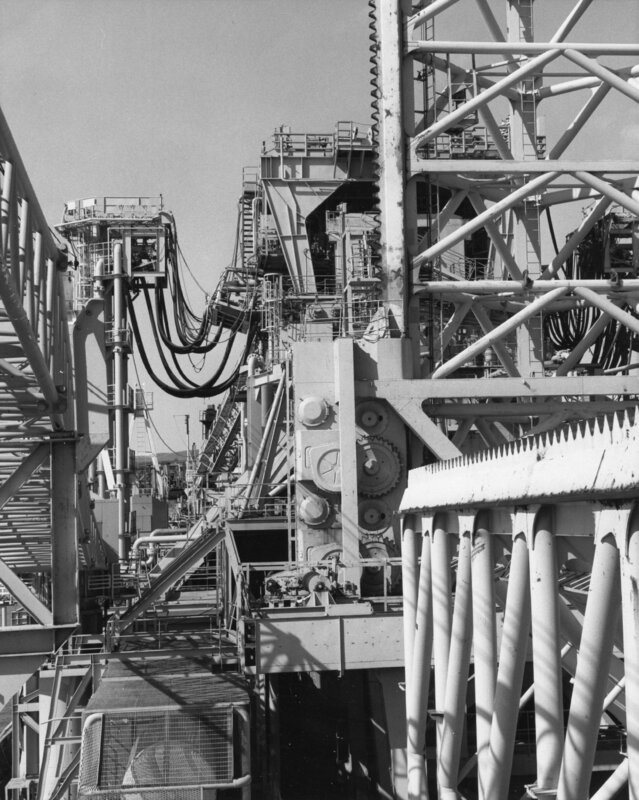 289k Glomar Explorer (AG-193) bridge, 15 May 1977, National Defense Reserve Fleet, Suisun Bay, Benicia,CA. 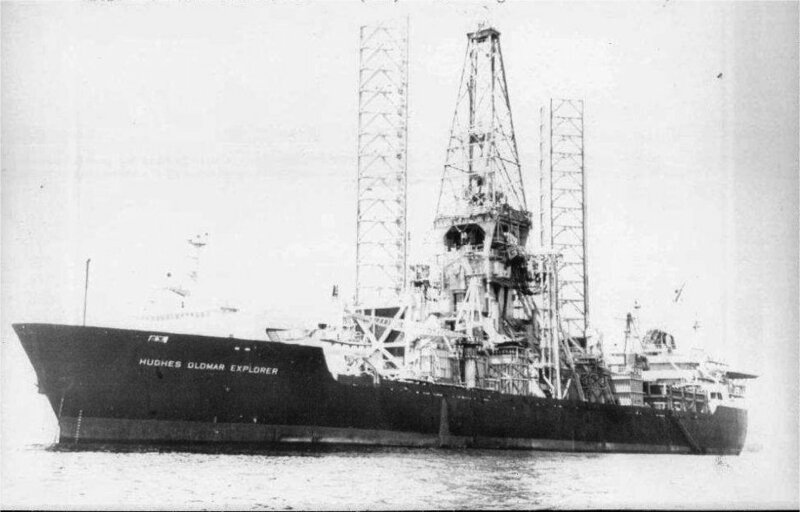 93k The deep water research vessel GSF Hughes Glomar Explorer owned by the organization of the industrialist Howard Hughes and leased to the CIA found and raised part of a soviet nuclear submarine in March 1978. 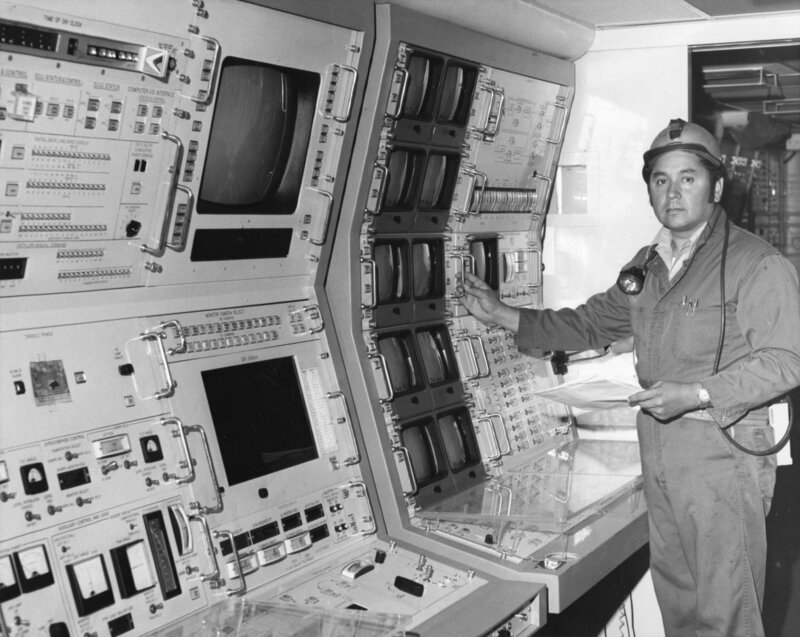 The submarine reportedly exploded and sank in the Pacific Ocean in 1968.